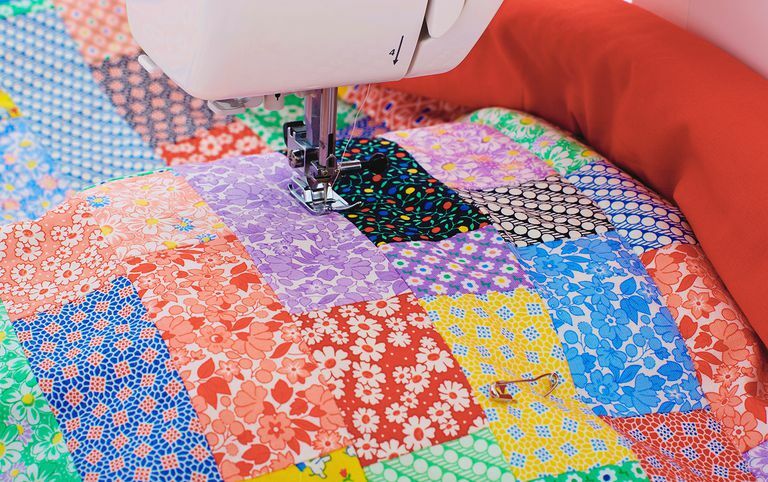 If you have an inkjet printer and you enjoy quilting, you'll love putting family photos onto a piece of fabric that you can quilt into a long-lasting memento. Sew-on inkjet fabric sheets are washable and permanent, photos look great on them, and they're readily available at hobby and craft stores as well as fabric and quilting shops. Best of all, printing on fabric is easy and quick; in fact, you can complete this little project in 10–13 minutes. So dig out your favorite photos, warm up your inkjet printer, and get started! Choose the photo you want to print. The fabric sheets are 8.5 inches by 11 inches, so the image you choose should be large and sharp. Do any necessary photo editing using graphics software. If you don't have any, try Gimp or Adobe Photoshop Express (both are free). Test the print with a piece of paper first. Use inkjet paper (not cheap copy paper) and set the printer to print at its highest quality. Check the results to make sure the photo's color looks good and the image is clear and sharp. Repeat step 1 if you need to make any tweaks. Make sure the fabric sheet has no loose threads before you load it into the printer. If there are, cut them (don’t pull) and load up the sheet. Set the printer settings for plain paper. Print the image and let the ink dry for a few minutes before you handle the fabric sheet. Peel the paper backing from the sheet. It’s now ready to be used for quilting. Choose a sharp picture that will look good at a large size. Get some paper made for inkjet printers; it'll give you a better idea of what your printed fabric sheet will look like. Test-print before you print on the fabric sheet; the fabric sheets are not cheap, so you don't want to waste any.